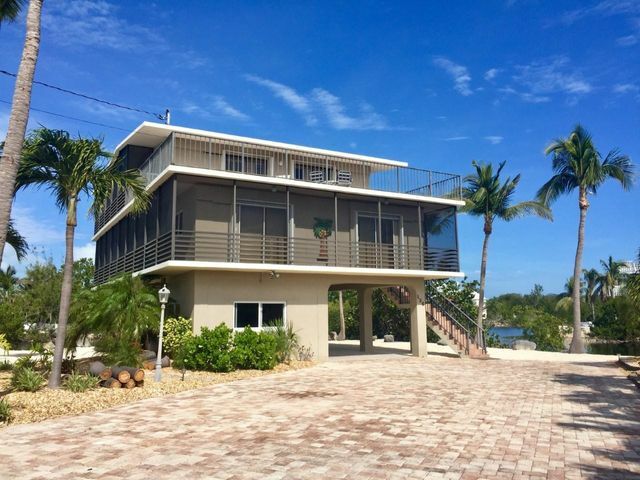 Looking for ”Turn Key” Waterfront, Concrete Construction, fully furnished, located in prestigious Venetian Shores, with boat slip #41 in Marina! Open floor plan, stainless/granite kitchen, awesome waterfront screened porch off living/dining area, two bedrooms one bath on the second level, third-floor master suite with screened porch, office/den or fourth bedroom, with spacious sun porch, new impact windows, plus great lower level air conditioned storage! Even includes golf cart with rod holders to take to the Marina! Awesome large lot in Cul-De-Sac surrounded by water, super location, Owner/Agent.